Members can register on your site to create user profiles, have private conversations, make social connections, create and interact in groups, and much more. Truly a social network in a box, BuddyPress helps you build a home for your company, school, sports team, or other niche community.Thanks to several Free BuddyPress Plugins. BuddyPress with its add-ons provides complete flexibility. Extend your BuddyPress powered community with cool add-ons. Here is a list of Addon plugins to help you save a lot of customization time and money. It simply allows you to add media. Here is the list of features which you may need and its the best among all free BuddyPress plugins. BuddyPress Integration — Find a new media tab under BuddyPress Profiles & Groups. BuddyPress Activity Stream — Attach media to activity status updates just like Facebook. Albums — Organise media into manageable collections. BuddyPress Group albums support collaboration. Responsive — Album Slideshow (Lightbox), video player, uploads work on mobiles & tablets. Support for swipe gestures. Privacy — Control who can see media files, albums, and BuddyPress activities. Templating system — Completely customize rtMedia by modifying the template files. Just copy over the template folder to your theme. Featured Media — This can be used for the Facebook-style cover photo on profiles. rtMedia Uploader — Use shortcode[rtmedia_uploader] or template<?php rtmedia_uploader() ?> tag, to show drag-n-drop uploader in any WordPress area (post, page, custom-post, etc). rtMedia Gallery — Display media gallery anywhere on your site using shortcode[rtmedia_gallery] or <?php rtmedia_gallery ?>template tag. The addon plugin allows adding documents in various ways. 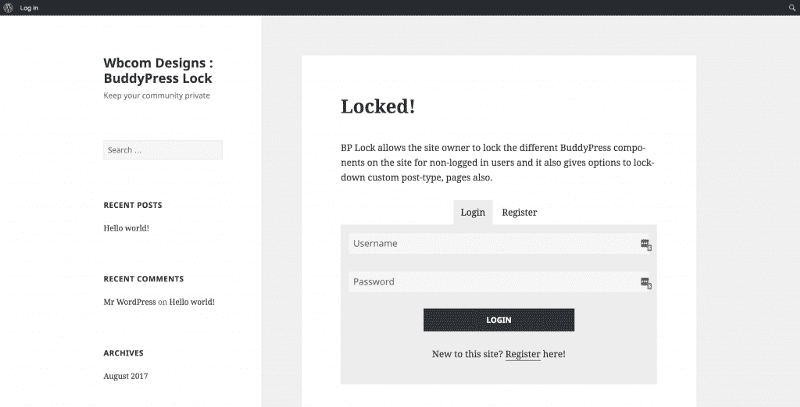 BuddyPress Lock basically allows the administrator to lock the certain parts of their site. It helps to create private BuddyPress community by locking certain BuddyPress Components, WordPress Pages, Custom Post Types for public view without using any membership plugin. You can set the locked content which will be displayed on the locked page. The user will need to login/register to view the locked content. Allows you to choose which page will be public or private. BuddyPress Shortcodes is an easy-to-use shortcodes plugin that helps you in building your own Social Network using BuddyPress Plugin.It gives you the option of using Shortcodes for BuddyPress plugin. Creates a widget that shows the applicants per job, useful for employers. The ability to invite members to the site by email. The plugin creates a tab on each member’s Profile page called “Send Invites”, which contains a form where users can invite outsiders to join the site. There is a field for a custom message. The email invitation part of the plugin is customizable by the BP administrator, via Dashboard > BuddyPress > Invite Anyone. 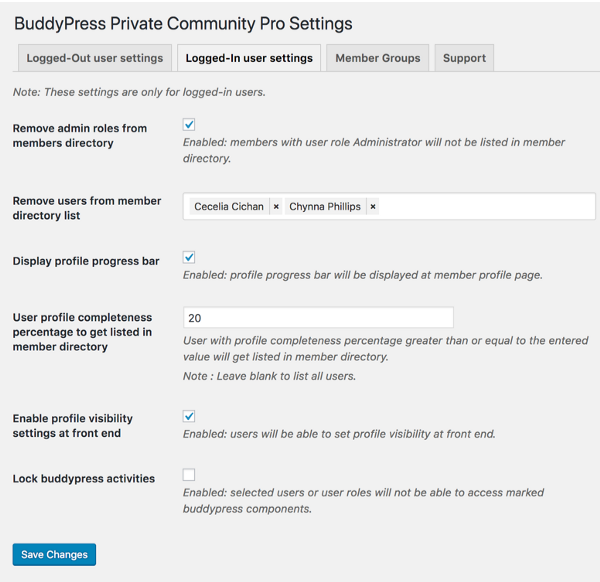 By default, BuddyPress only allows group admins to invite their friends to groups. This plugin allows you to do so, by populating the invitation checklist with the entire membership of the site, rather than just a friend list. Enable it at Dashboard > BuddyPress > Invite Anyone. 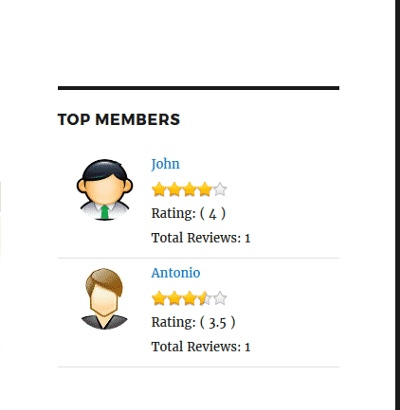 BuddyPress Group Reviews allows BuddyPress member add group review & give multi-rating to given criteria(s). After review post, all reviews displayed in manage review section of the group. Admins can approve or deny review. When admin approves the review they will be published. All published reviews will be shown in reviews tab in the single group page. Admin is allowed to add as many as criteria for the rating. There are several general settings managed by admin like allowing the popup for review, auto approval of reviews, Profile and email notifications and last to restrict the group which doesn’t want to be reviewed. BuddyPress members add reviews to the BuddyPress groups on the site. The review form allows the users to even rate the Group. This plugin allows only site members to add reviews to the BuddyPress members on the site. But the member can not review itself. And if the visitor is not logged in, the visitor can only see the listing of the reviews but can not review. The review form allows the members to even rate the member’s profile out of 5 points with multiple review criteria. You can add multiple criteria for review. And you can change the positions of those Criteria. 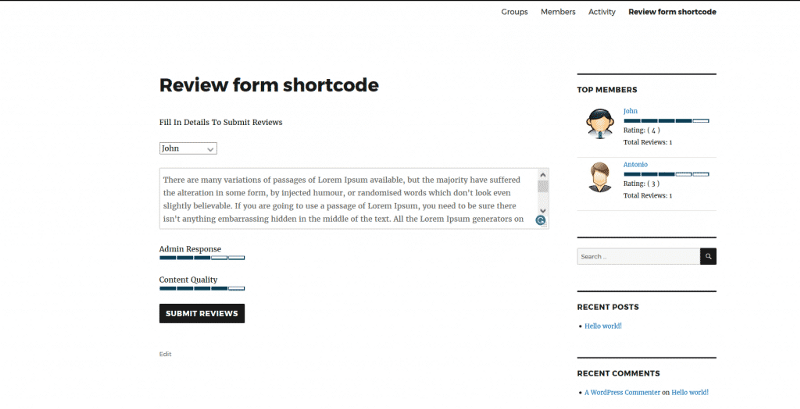 Review form shows on the member’s profile but you can show review form on another page just by shortcode. 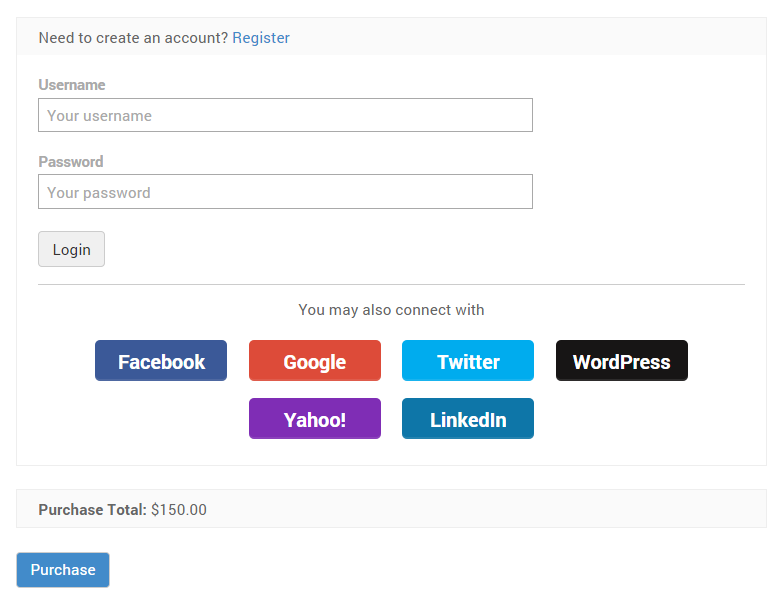 This is a very helpful plugin for a social media community site.WordPress Social Login allows your website readers and customers to register on using their existing social accounts IDs, eliminating the need to fill out registration forms and remember usernames and passwords. It also allows you to import users contact list from Google Gmail, Facebook, Windows Live and LinkedIn. The plugin allows BuddyPress members to Check-ins when doing post update, just like other social sites, you can add places where you visited. AutoComplete feature: You can add a location for your choice start typing location name and it will suggest based on your input and you can select it. Place Type Feature: You can restrict your members to add locations based on nature of your website, like a religious website can allow adding Church, Templates etc. Foodies websites can restrict check-ins for bars, pub, and restaurant only. 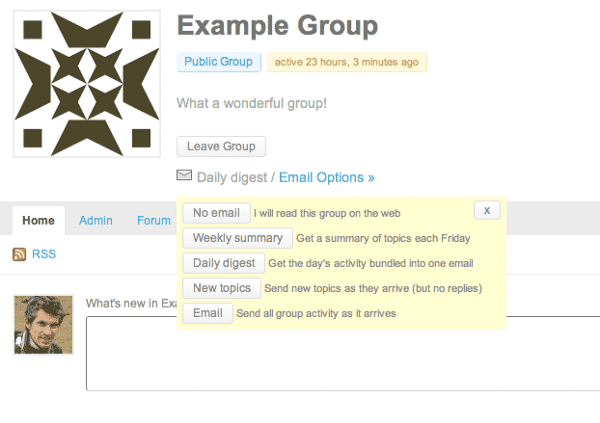 This powerful plugin allows users to receive email notifications of group activity. Weekly or daily digests are available. 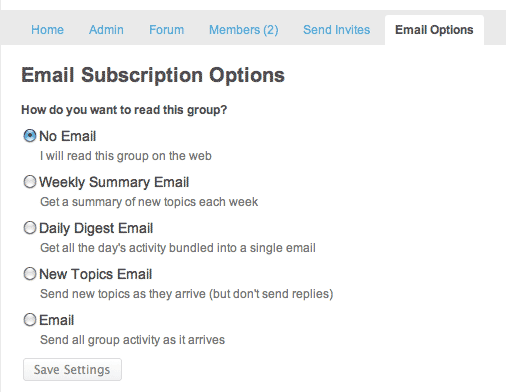 Each user can choose how they want to subscribe to their groups. BuddyPress Activity Social Share plugin allows users to share activity “Post Updates” to their social networking profiles. This plugin adds the option ‘Share’ to BuddyPress Activity in post updates section parallel to the ‘Comment’, ‘Favorite’ and ‘Delete’ option. When the user clicks on ‘Share’ button, there will be a toggle display with all enabled services and eventually, a popup will appear when the user clicks on a specific social media service. 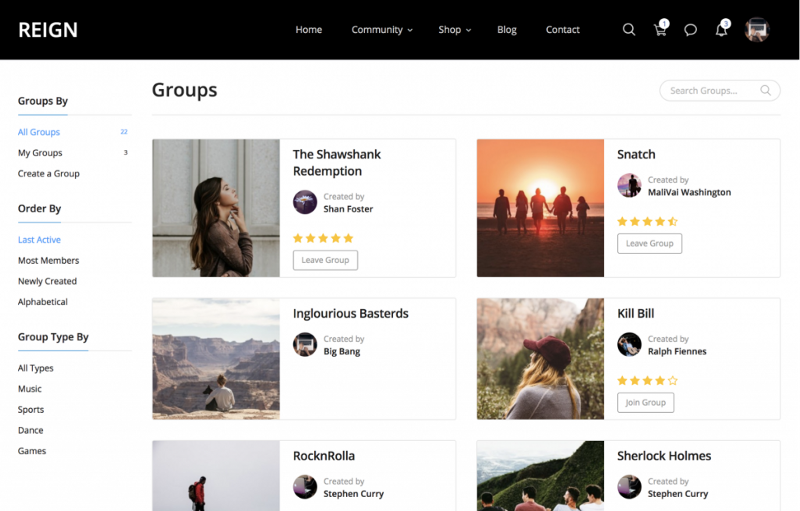 BuddyPress Create Group Type is a BuddyPress plugin that uses the new Group Types feature in order to create a range of admin defined group types for selection by the group creator. Once selected the group type is displayed in the group cover area of the group’s pages. If you need additional help you can contact us at Wbcom Designs. Note: For Multisite please activate it which site BuddyPress is activated. Like if BuddyPress is network activated so also network activate this plugin. and use define(‘BP_ENABLE_MULTIBLOG’, true ); in config.php file fora separate blog. if BuddyPress is activated separate domain so please activate this plugin to separate blog. This BuddyPress extension allows you to enable user moderation for new members, as well as help, create a private network for your users. If moderation is enabled, any new members will be denied access to your BuddyPress and bbPress areas on your site, with the exception of their own user profile. They will be allowed to edit and configure that much. They will also not be listed in the member’s lists on the frontend until approved. Custom messages are available so you can tailor them to the tone of your website and community. When an admin approves or denies a user, email notifications will be sent to let them know of the decision. BuddyPress Activity Bump is used to bump activity when anyone likes activity or comment on activity. 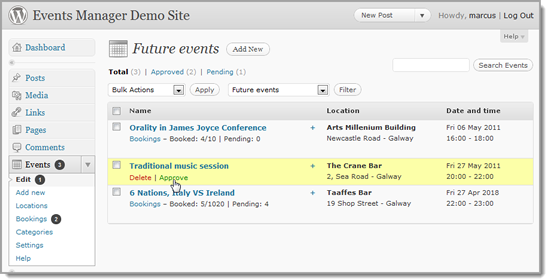 This plugin basically provides you the ability to bump activity on a comment or like on activity. BuddyPress activities display more recent activity first. If someone comments on an existing activity or mark them favorite it should come on top on the newsfeed. 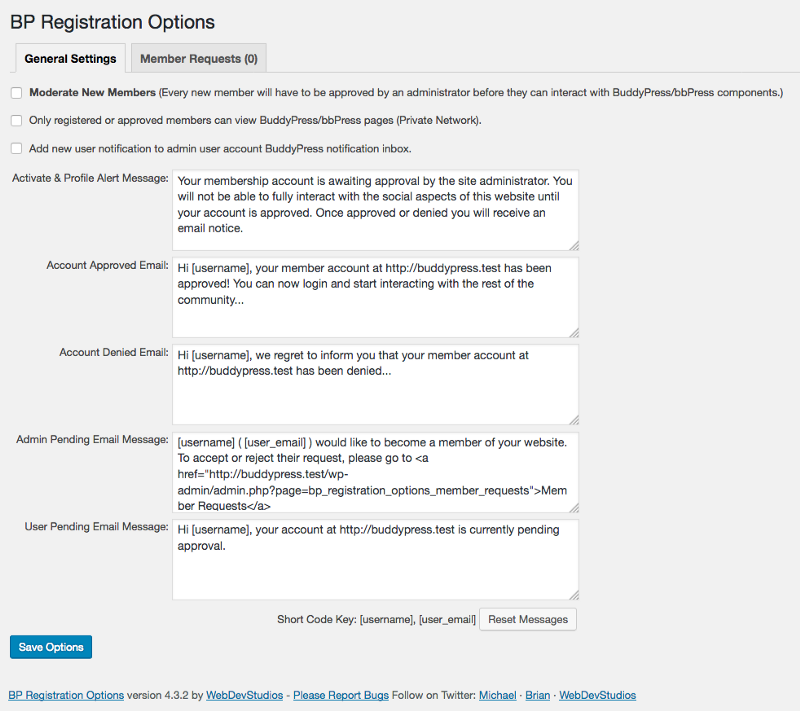 BuddyPress Activity Filter will also allow setting your default option for activities. You can change the default from everything to Post Updates, the site administrator can remove some specific activity types from their BuddyPress Activity. It will also allow setting your default option for activities. Customised activities to be listed on front-end. Select activity to list on activity page by default. Select activity/activities to hide from the list on activity front page. This plugin will generate shortcode and widgets for post updates section for activities so you can post the update from anywhere, it might be a sidebar, some page or any template file. With BuddyPress by default, posting to activity is possible only from the Activity tab of a member’s profile page. However, BuddyPress Post from anywhere let you add what’s new section to any of your post, pages or template files. You can also use the shortcode [bppfa_postform] at pages or inside template files. This is a full-featured event registration plugin for WordPress based on the principles of flexibility, reliability and powerful features! By default, BuddyPress does not inform the poster when someone Favorites their content, BP Favorite Notification plugin adds a functionality to notify the poster when someone Favorites their content. It Shows live notifications of members on a BuddyPress based social network site. The user will get notified of any BuddyPress activity by users. Adds Notification: BP Favorite Notification plugin adds that notification, so members know when people like their content. Easy To Use: Installation is very simple, just install and activate the plugin, there are no settings to configure. Live Notifications: User will get notified of any BuddyPress activity by users. This plugin serves the purpose of redirecting to different locations according to the user role after login. BuddyPress Redirect plugin gives an option to BuddyPress based website owners to decide that where their users should be redirected after the login. Currently, users can be redirected to 3 different locations after login. BuddyPress Redirect plugin also offers options for logout redirect, user can be redirected to custom url after logout. It adds links/buttons to flag inappropriate user-generated content on the site, so members can easily flag contents as inappropriate. 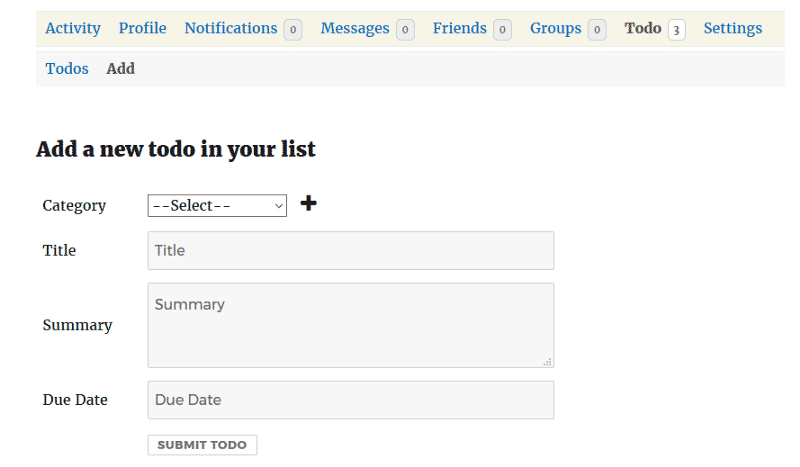 Admins can then see all the reported contents in an organized table in the wp backend, order/filter them and take actions. The User Registration Add-On for Gravity Forms makes registering users, creating login forms, and even setting custom user meta a breeze. The User Registration Add-On integrates with the BuddyPress (BP) Plugin allowing you to populate BP profile fields from Gravity Form fields. The BP Meta section of the User Registration feed functions almost identically to the Custom Meta section with the exception of not having an Add Custom option. To add new BP meta options, you must add additional BP profile fields on the BP Profile Field Setup page. BuddyPress Profile Pro gives you the power to extend BuddyPress Profiles with repeater fields and groups. You can easily add multiple field groups and display them at member’s profile. These groups can be repeater groups like Education, Work history and lots more. You can also have repeater fields like multiple phone number, multiple website urls, skills sets with multiple values. Site admin has simple options to create Field groups as regular or repeater. Have inbuilt options to pick any fields as repeater fields. Each field has their dynamic id and class which help developer to style them easily. Advance Developer docs with all available hooks and filter. All BuddyPress Member Profiles are public and can be indexed by Google by default. 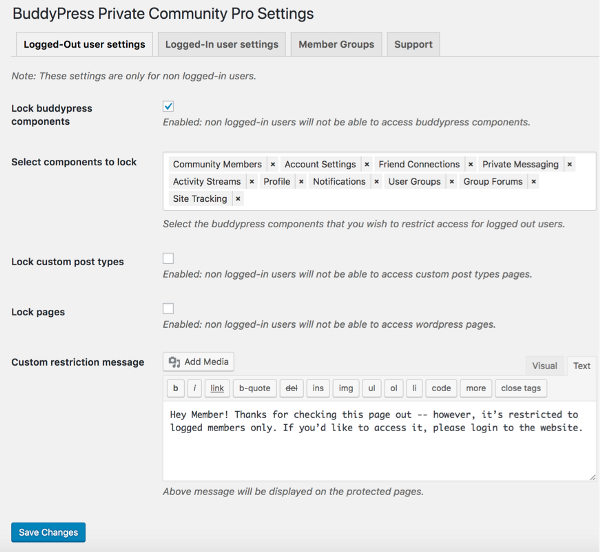 BuddyPress Private Community Pro will offer a lockdown for BuddyPress Component and will ask users to log in go further to check profile or any other protected details. Limit BuddyPress community features for Logout users. You have a specific choice which BuddyPress component must be disabled/enabled. Remove all admin from BuddyPress members Directory. Easily remove testers or some specific users from BuddyPress member directory. Profile Progression: Display profile progress bar. 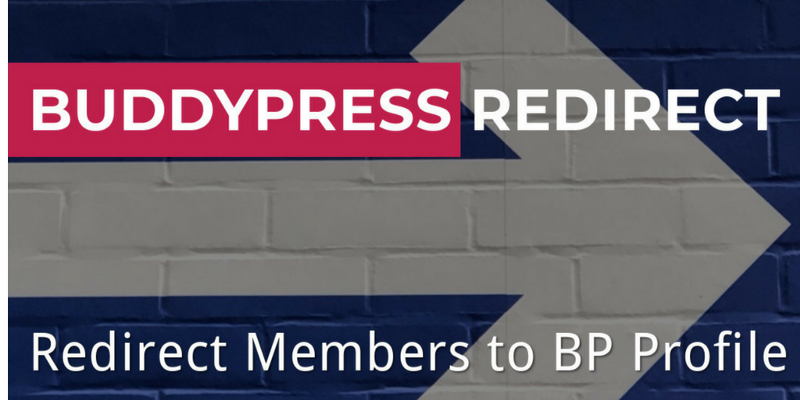 Optional: User profile completeness percentage to get listed in BuddyPress member directory. Limit BuddyPress Components based on user role or specific user, e.g. Subscriber can not send Private messages. Plugins come with a widget to display poll results with graphs. It’s an independent plugin, extends BuddyPress Activity as Post update Polls, works perfectly for individual Activities and BuddyPress Groups. Create Polls at BuddyPress activity and groups. The poll icon is added to the What’s new in Activity. The poll icon is added to the What’s new in Groups. Single Option Polls — users can pick just one answer. Multiple Option Polls — users can pick more than one answer. Responsive Designs, Fits well with all mobile devices. Logged out users see the polls on activities, but can’t vote or see the poll results. BuddyPress Polls widgets to display Single and multiple Poll results. Use BuddyPress Profanity plugin to censor content in your community! Easily Censor all the unwanted words in activities, private messages contents by specifying a list of keywords to be filtered. e.g. ‘Profanity’ will be ignored if you have ‘fan’ as a flagged keyword. Otherwise, with strict filtering OFF, it will appear as ‘Pro***ity’. You can add your own list of bad words. Options to enable content filter for Activities, Activity comments & BuddyPress Private messages. Options for admin to choose which type of word rendering he want to activate for the site. You have a choice which type of filter character you want to use to hide bad words. Site admin has choice to enable/disable case sensitive filter. Options for Strict filters to filter characters within the words. BuddyPress Resume Manager adds a separate BuddyPress Resume menu at a user’s BuddyPress Profile Page to display individual member resume. 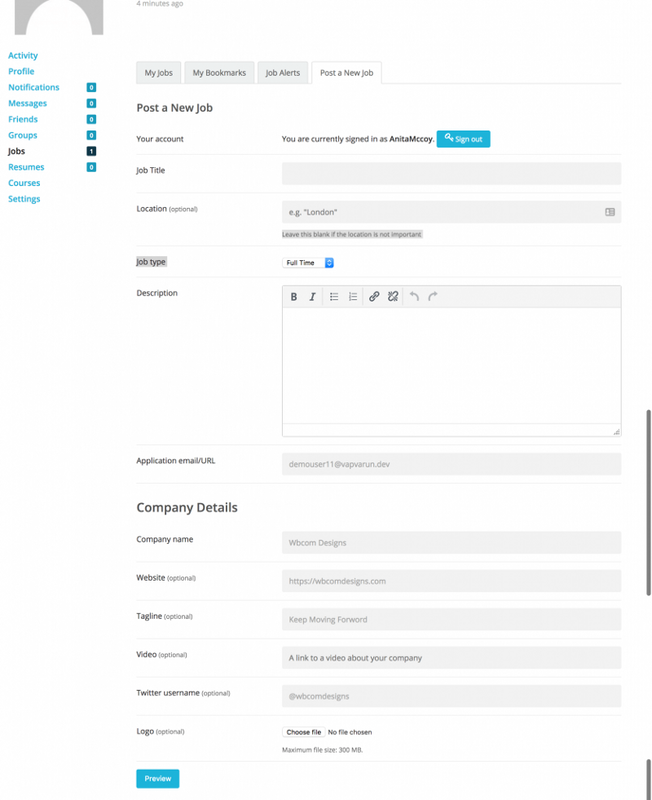 We have added predefined fields for the resumes and site admin and enable and disable them. The Resume tab will be added to the menu of the BuddyPress admin bar and profile navigation tabs. The plugin has the Resume tab/page visible to everyone and the add/edit tab page visible to the member and the administrator. 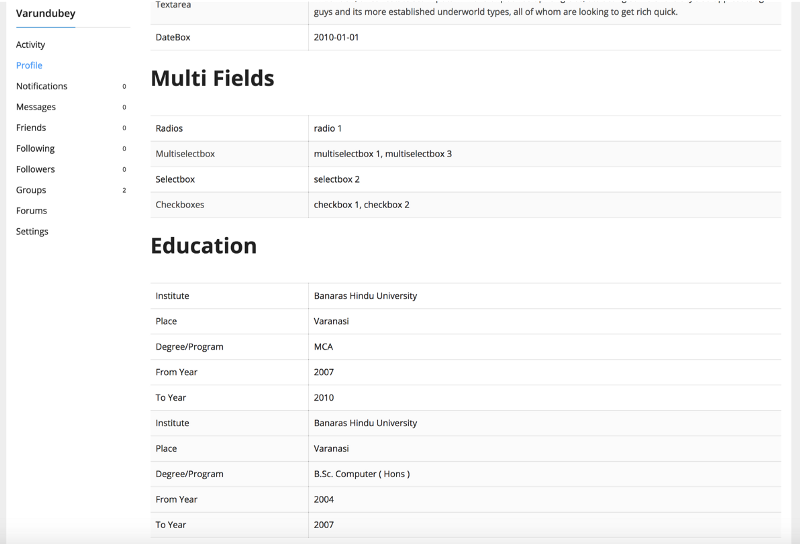 Repeater field help to add multiple details like multiple skill set, multiple education fields. 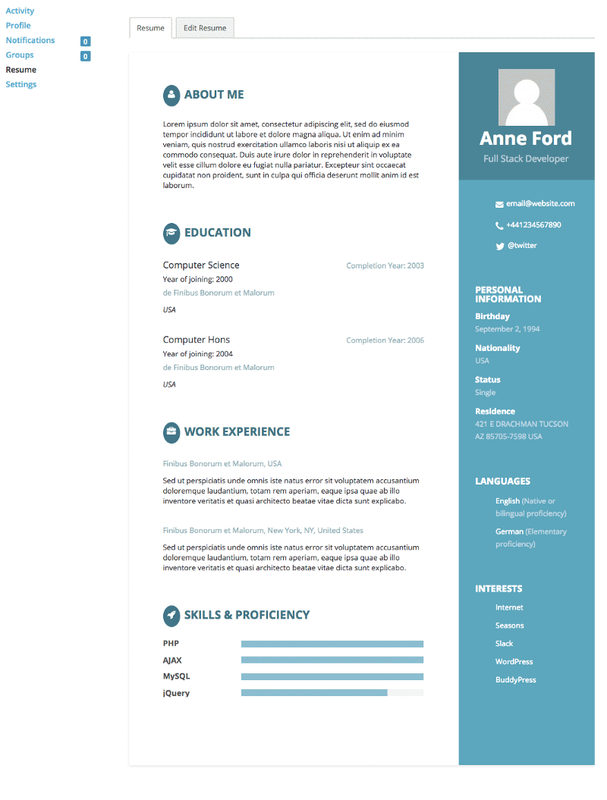 Resume template files can be overridden inside child theme. Wbcom Designs provides any custom development for your community website. We have a team of well-trained and experienced individuals who have expertise in creating custom BuddyPress sites of any size. We also have expertise in creating custom BuddyPress plugins.